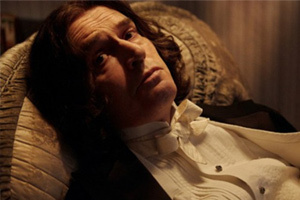 Rupert Everett directs, produces and stars in this story of the last days in the tragic times of Oscar Wilde. The great man of letters, once one of the most famous authors in England, is now a superstar on the skids. As Oscar lies on his death bed, observing his own failure with ironic distance and regarding the difficulties that beset his life with detachment and humour, the past comes flooding back to him, transporting him to other times and places.